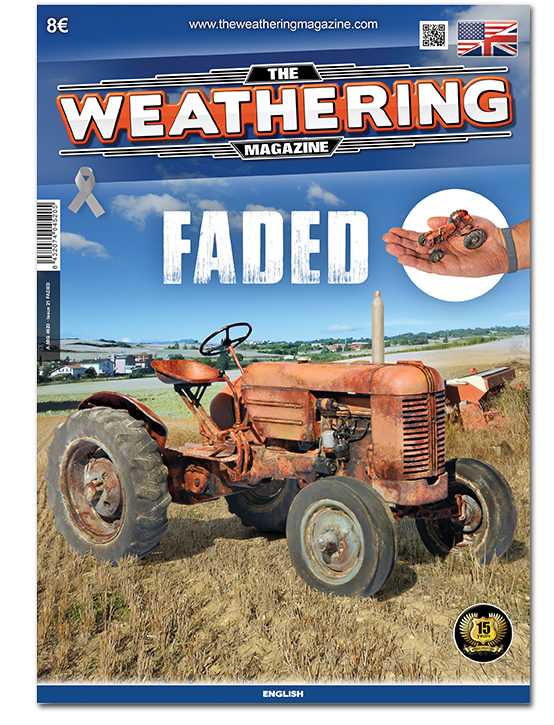 Issue 21 of The Weathering Magazine deals with the topic of fading which is a technique that can be hard to get the balance right, ranging from a reasonably fresh out of the factory vehicle to a neglected vehicle that has been sitting in the sun for decades. The effectiveness of this technique is very dependent on the context of the model, for example, a vehicle sitting in the desert will fade a lot more than a vehicle in cooler climates where the sun isn’t as harsh so let’s see how the contributors of Ammo approach this subject. 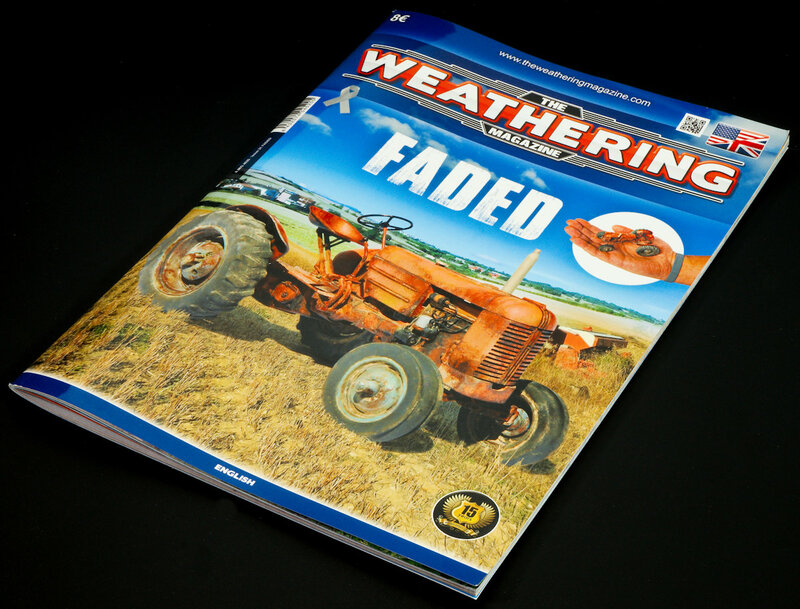 The magazine comes in the usual softcover A4 portrait format printed on thick high gloss paper. 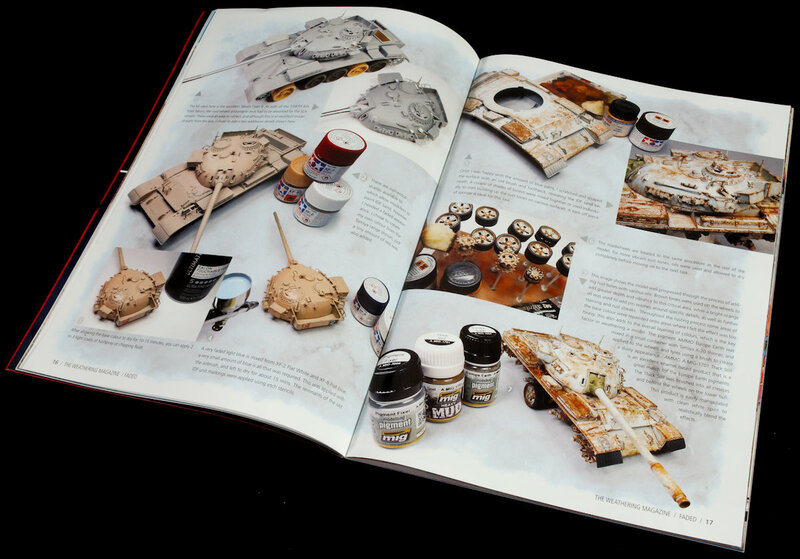 The editor’s introduction talks about why he likes taking pictures of weathered vehicles and the large amount of inspiration you can get from a well weathered vehicle, and the accompanying image of a Centurion tank certainly shows off a lot of weathering. 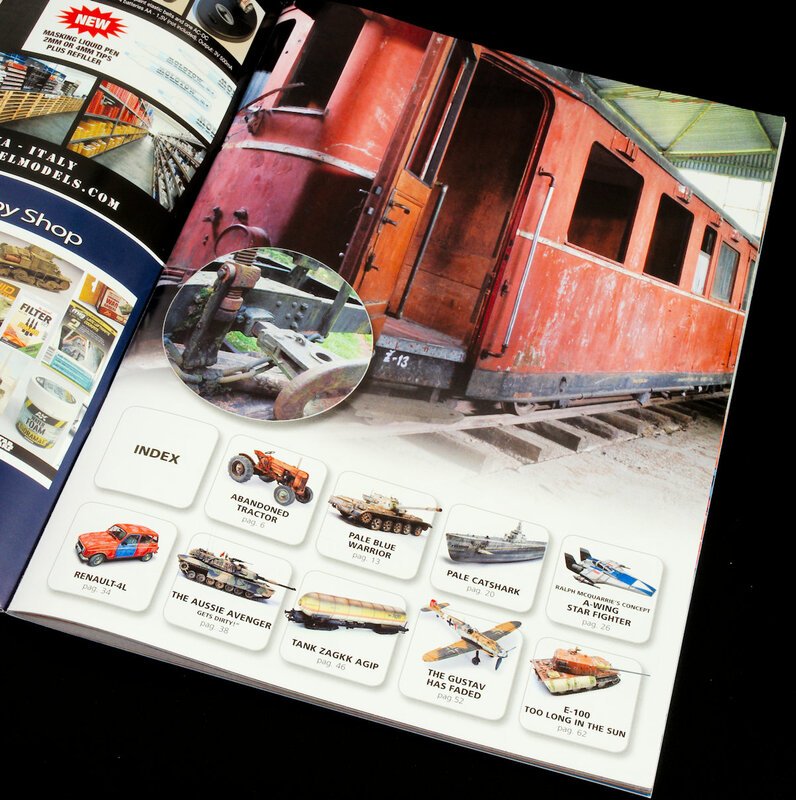 The magazine comes with a healthy nine articles of various subjects covering both military and civilian vehicles, and all genres from land, sea, air, and even sci-fi subject from outer space. Another beautiful image of a well faded and chipped train carriage, reminiscent of the old Red Rattlers that used to run on the Sydney rail network shows off the various shades of the worn red-brown colour that used to be uniform when this train carriage was brand new. 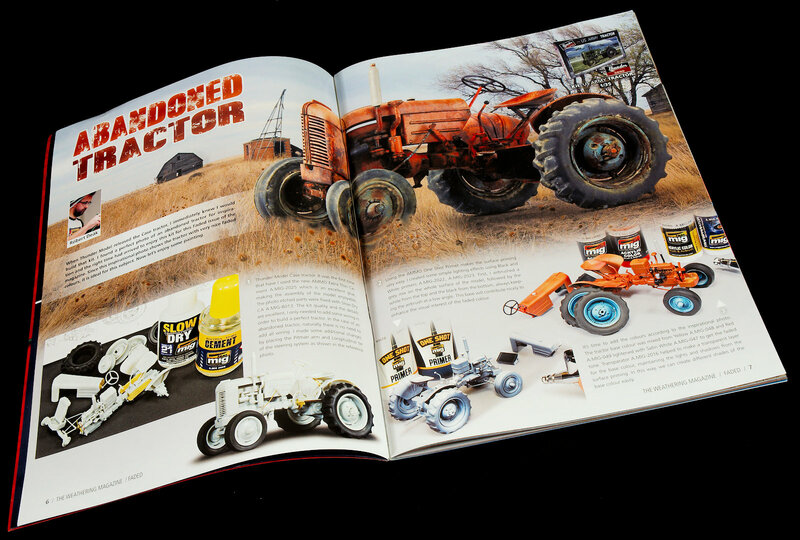 The first article is Róbert Deák’s build of Thunder’s 1/35 US Army Tractor which features on the cover of the magazine and is built out of the box except for some added wiring. The author has painted the model up in a heavily weathered red civilian scheme and really does look like something that you’d find sitting in a field on a farm somewhere. 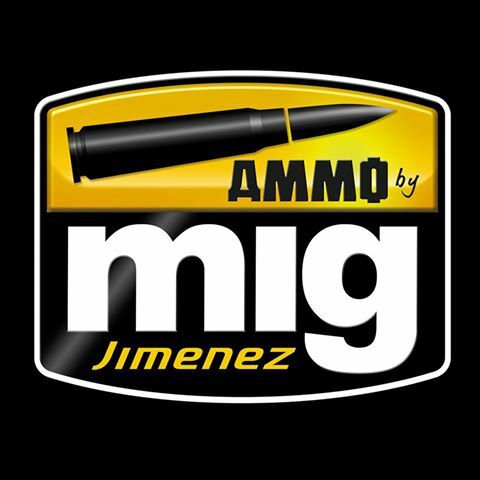 The product placement of Mig Ammo branded products is features very prominently in this article, and introduces one of Mig Ammo’s latest product the Oilbrusher. I like the tractor a lot and the only thing missing is some stray strands of grass/ hay on the wheels and lower body. The next article is Andy Taylor’s build of Takom’s Tiran 4 based on a photo of a Southern Lebanese Army wreck sitting in a junkyard. The author mixes his own shade of IDF Sand, and sprays over it with a light blue mix and then fading it using the hairspray technique to reveal the base colour. The effect is quite subtle, but I think it is dominated by the rusting effects applied so it doesn’t quite come across as an example of fading. 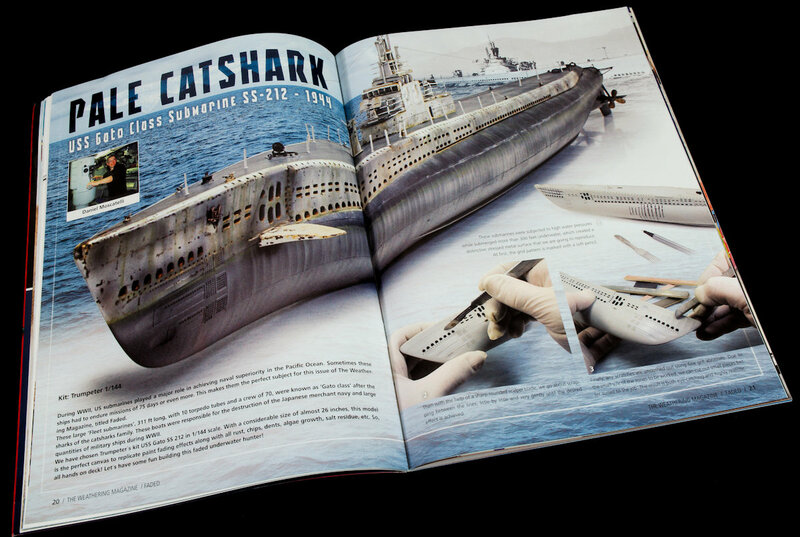 But don’t get me wrong, the model is very nicely done and looks very close to the photo that the author used as inspiration. Daniel Moscatelli’s build of Trumpeter’s 1/144 Gato class submarine is next up, which I thought was a great subject for paint fading with all the exposure from sea water and the sun. The author goes through the wide variety of techniques is employs to weather the submarine and once again Mig Ammo products feature heavily but results in a good looking model although I thought the chipping was a bit overdone especially on the dive planes. Star Wars gave their non-Empire vehicles a much more worn look as opposed to vehicles being used by the Empire which were almost sterile in appearance. Roberto Aguilera models a concept of the A-Wing that did not make Return of the Jedi in 1/24 scale and achieves a finish that looks right out of RotJ if it was chosen as the design for the A-Wing. The author uses a few different paint brands to paint up his models, but the Mig Ammo products return in the weathering of the kit. 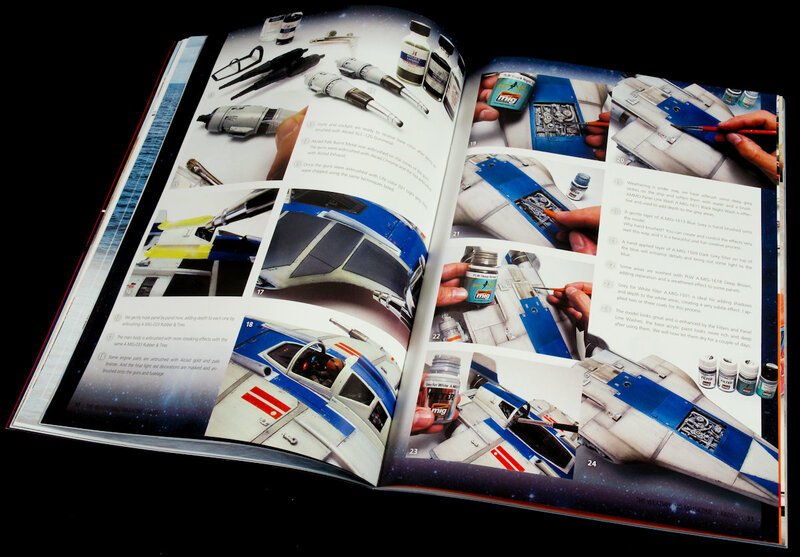 The only question is how much weathering is actually suitable for outer space? But for me, that is part of the fun of sci-fi modelling. 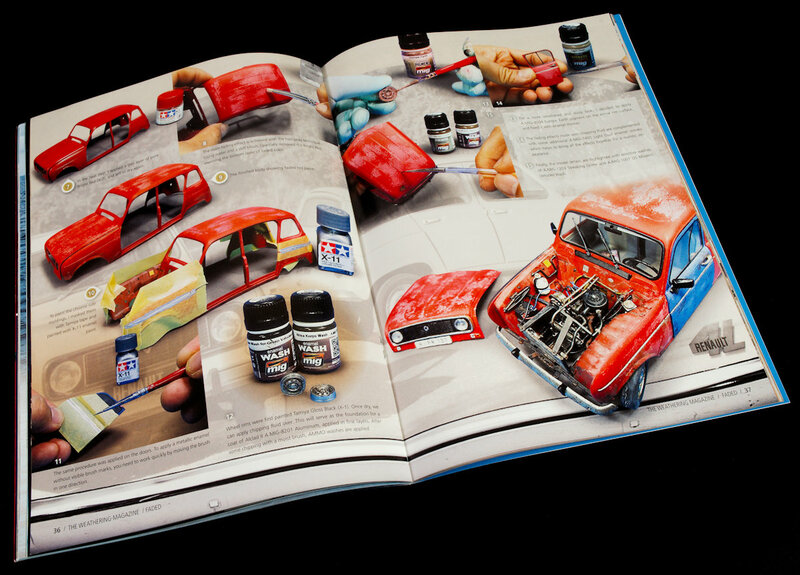 In contrast to the usual pristine showroom finish we see on car models, Hong Sung Cheol has modelled a very heavily worn Renault 4L using Heller’s 1/24 scale kit. Like the previous article, the author doesn’t use Mig Ammo paints, but uses their finishing products and is a good showcase for what can be achieved with these products. I find this to be an interesting facet of car models and why they’re almost always done with a showroom finish? 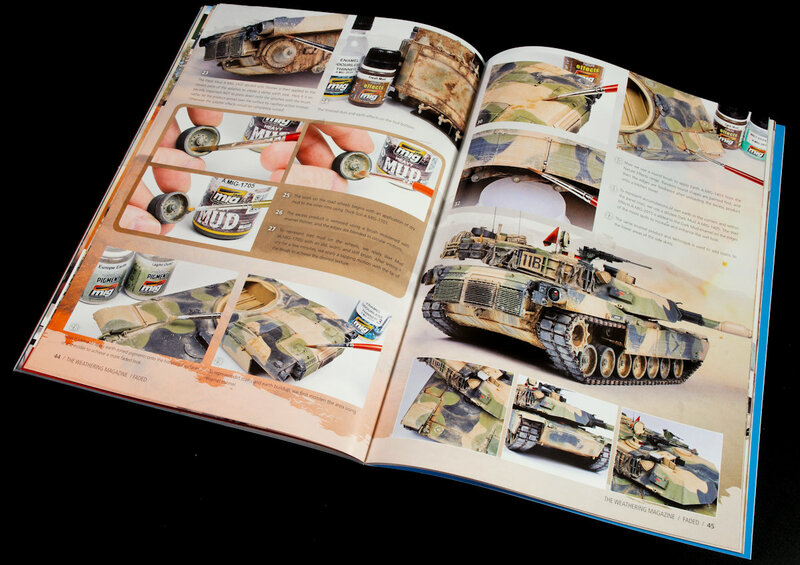 The next article is the second of a two-part article by Maxi Fernández on his build of Rye Field Models 1/35 M1A1 Abrams in an Australian three-tone camouflage scheme. Once again, the author goes through his techniques to get to the finish he arrives at, and Mig Ammo products once again feature heavily. The author’s decision to do streaks on the sideskirts from front to back like a plane is sure to arouse discussion about how appropriate this is, but it definitely gives the model a distinct look. Graziano Ghetti delves into the dark side of, gasp - model trains, and weathers a very nice looking Agip gas tank. Once again the use of Mig Ammo products features heavily in the article, and I really like the faded effect on the top of the gas tank, which would be expected from a vehicle with almost constant exposure to the sun. Weathering on plane models is another one of those debates that can really divide the modelling community. 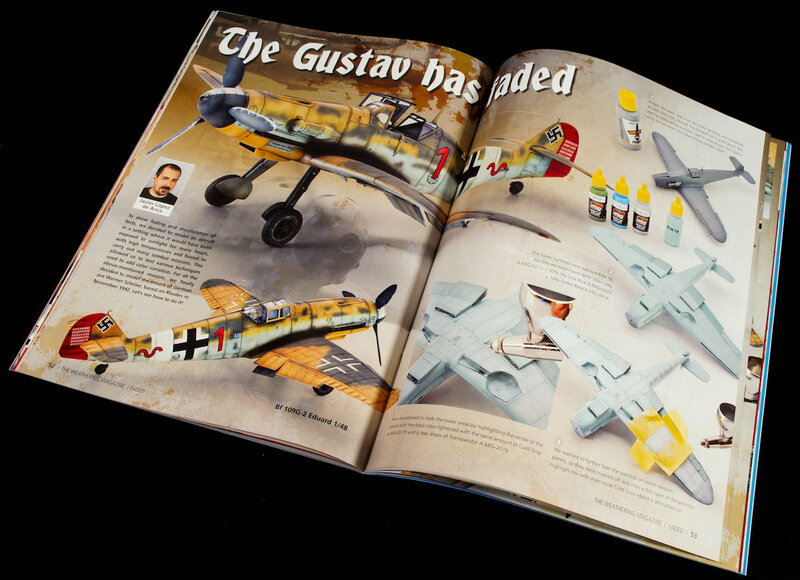 Javier López de Anca has chosen a very good subject to display fading effects with Eduard’s 1/48 scale Bf109G-2 in Werner Schröer’s desert schemed plane. Interestingly the pictures of the finished plane seem to have quite vibrant colours, whereas the W.I.P. shots appear to be more weathered. It could be a trick with the lighting when the photos were taken, but appears odd. 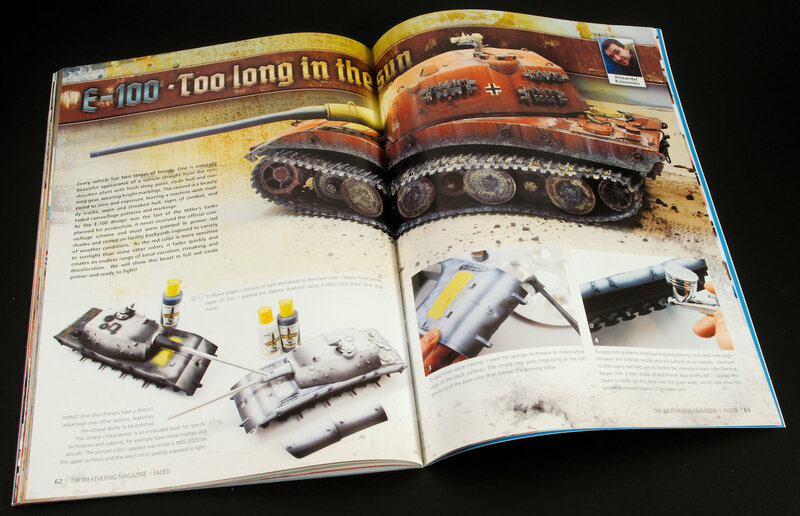 The final article is Alexander Kutovenko’s build of an E-100. The kit used is not mentioned and is a what if scheme since the vehicle was never actually made. The author does a very good job with the red oxide scheme and large amount of colour variance he achieves, and then weathers using various Mig Ammo products. I’m sure you’ve noticed that I’ve referenced Mig-Ammo products many times during this review, and in a way, that is what this magazine feels like. 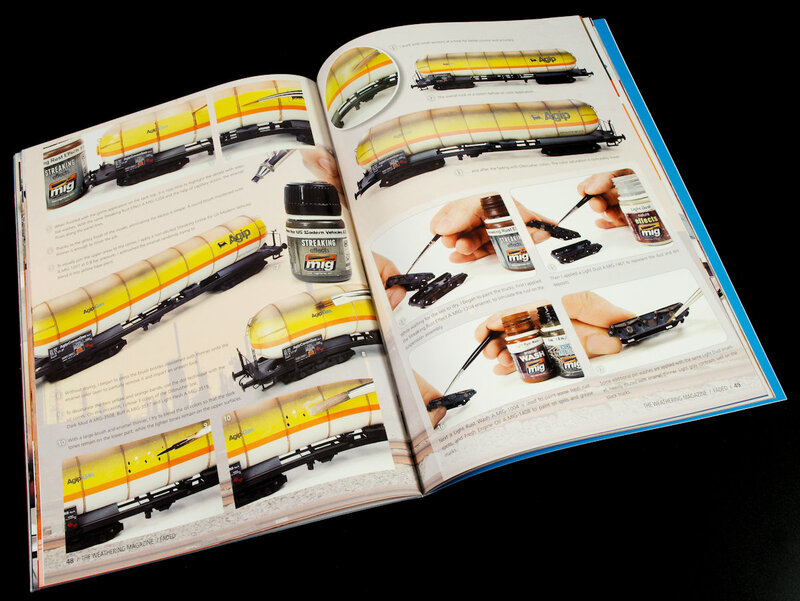 A big infomercial on the various Mig-Ammo products available for purchase online or at your local hobby shop. However, given that this is a Mig-Ammo magazine, this should not come as a big surprise. 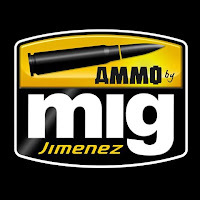 While this may be a turn off for some, the fact is that Mig-Ammo is almost constantly releasing new products, and to have a showcase of how different people use their products, and the end results that can be achieved using them is not a bad thing. 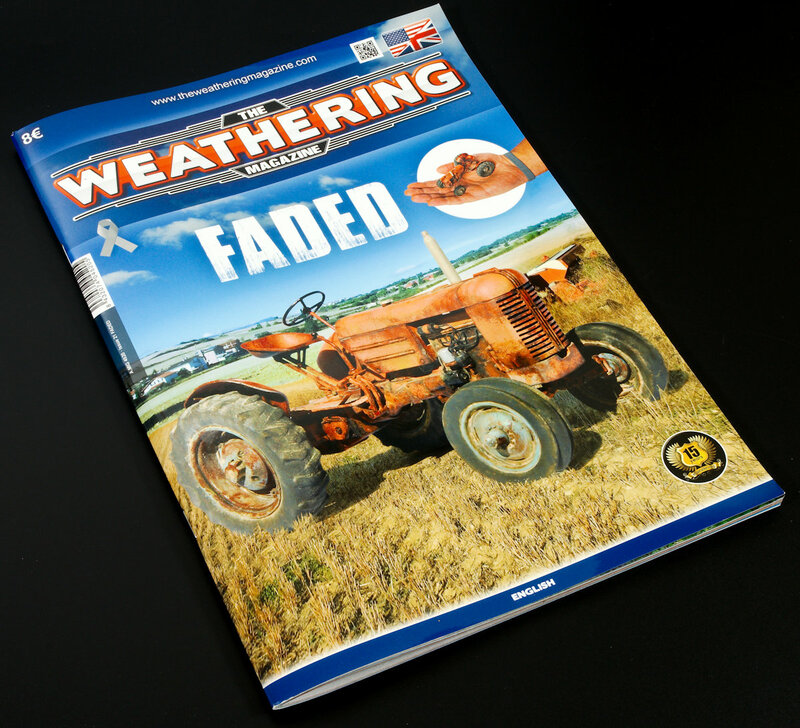 While the subjects, in general, do show more weathering than just fading, but the fact is that fading rarely appears on its own in the context of weathering, so I think the magazine succeeds with its focus on fading effects. Highly recommended. 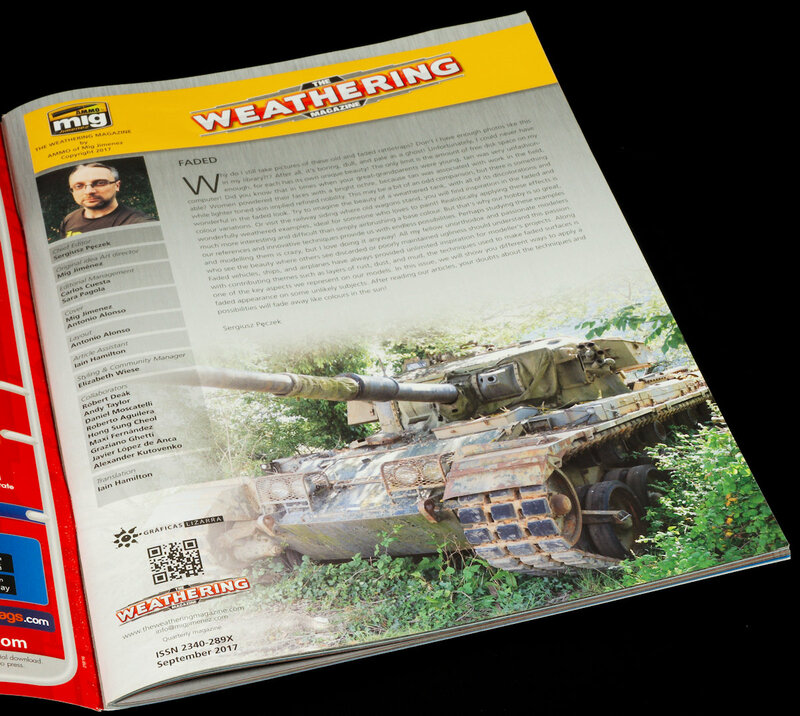 Thanks to Ammo & The Weathering Magazine for sending this issue for us to read & review.